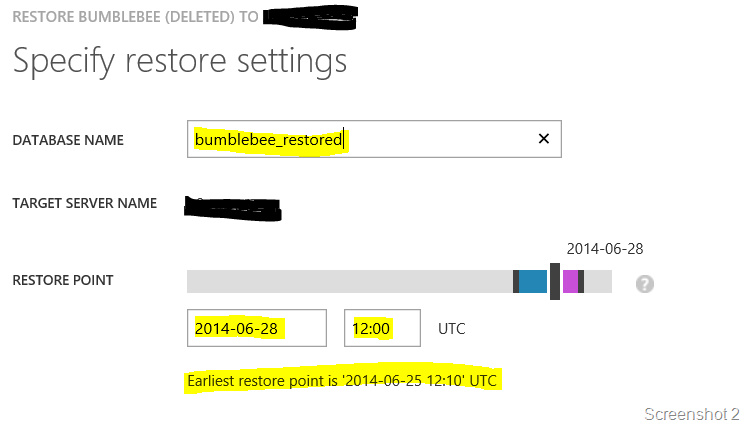 This entry was posted in Azure, Azure SQL Database, PaaS and tagged Azure, Cloud, Management Portal, PaaS, Restore. Bookmark the permalink. I know this post is a little old, but I wanted to thank you. I accidentally deleted our production database through Management Studio (thinking it was my local db), something I thought was possible only through the portal, and this saved me. Thanks. Since I’m here, do you know how to create a user without the permissions to drop the database, and avoid this kind of problem in the future?